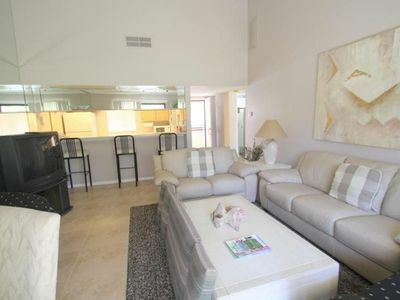 This fully furnished 2 bedroom, 2 bath plus den Desert Villa is located at 48847 Cassia Place, Palm Desert, CA 92260. 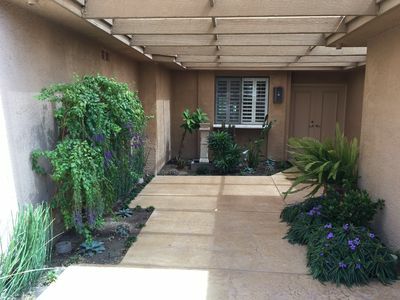 Beautiful travertine floors greet you at the front door and run throughout the entire home. 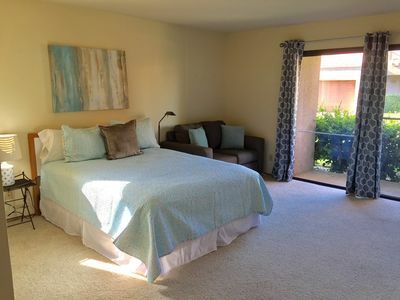 In the master you'll find a California King bed with a remodeled en suite bathroom. The guest room has a queen bed and it's own updated bath, too. The den has a full size sleeper sofa. The fully remodeled master bath's extra-large walk-in shower with bench seat will make you feel like you've walked into a spa. Just outside it is the long granite vanity with double sinks. 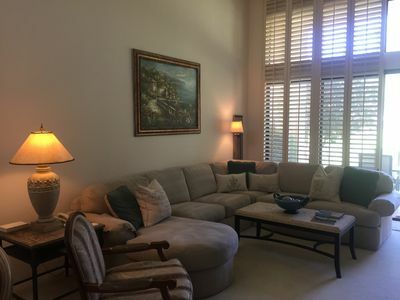 This vacation home has high-definition, flat-screen smart televisions in the living room and both bedrooms with access to cable, Netflix and Amazon Prime streaming video. Wifi is available from every room. 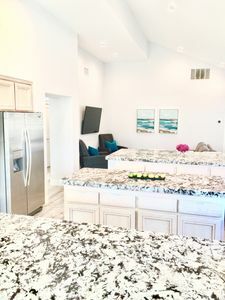 The kitchen is fully equipped with everything you need to whip up breakfast, lunch, dinner, smoothies, cocktails, coffee, espresso, and even waffles. 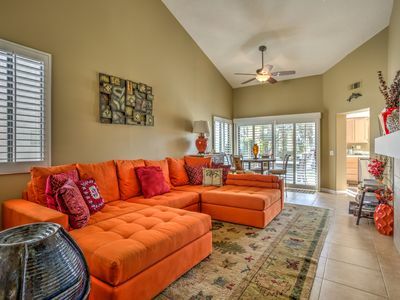 It has granite counters and stainless steel appliances. The large dining table seats six (eight with the leaf inserted) under a vaulted ceiling. The wet bar includes glassware for every need (and games and puzzles underneath). 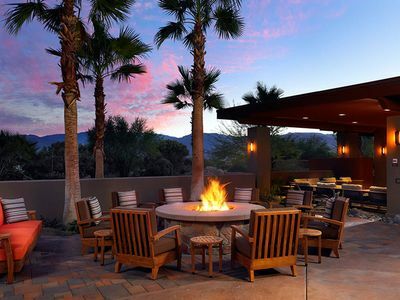 This patio feels like a whole other room with the sun and stars as your ceiling! 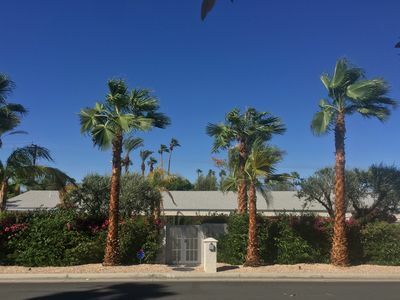 So come rejuvenate in this beautifully remodeled Ironwood home located on a quiet cul-de-sac street right on the 10th green. 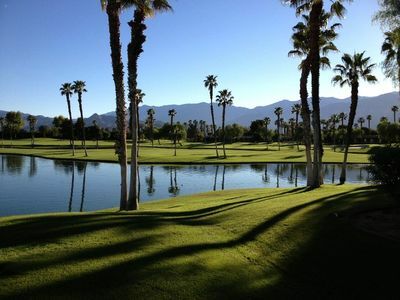 Golf on one of over 100 courses in the Palm Desert area or call Ironwood's Membership Department at 760.766.1095 for information about their "Special Guest" Monthly Golf/Tennis/Fitness/Social Club Programs. 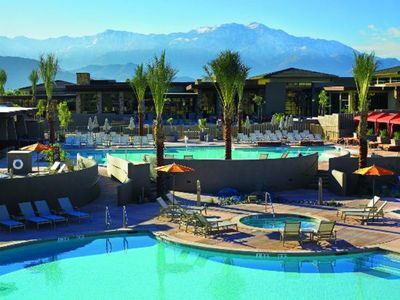 For those who don't golf, treat yourself to a spa package at one of the desert's many resorts or day spas. 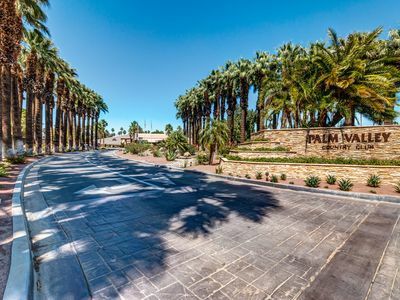 Or head to famous El Paseo Drive just five minutes away for shopping and dining. 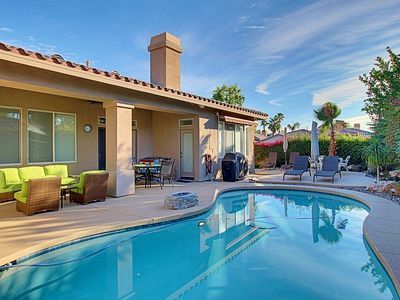 Then come home and head to the pool and jacuzzi across the street or one of the other three pools available to you. 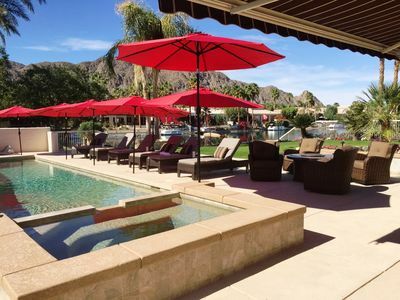 This is not your run of the mill rental unit but a luxury retreat. 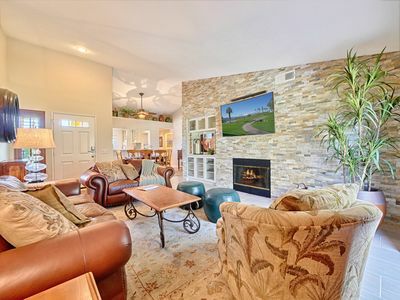 Just bring your golf clubs, bathing suit and amenities. 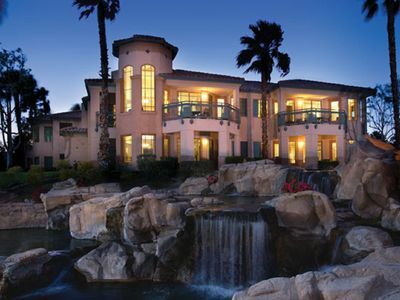 You won't want to leave. 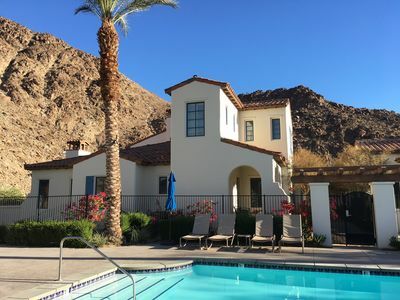 Centrally Located In Palm Desert!! 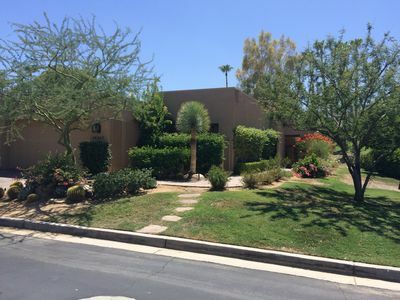 Beautiful Condo in Rancho Mirage!